Here are my Tips for Living or Traveling to Miami, Florida. I’m Back in a New York State of Mind after living in the Miami, Florida heat and humidity for six months and giving advice for living and vacationing there! Well, my luxurious life in Florida has finally come to an end. I actually had to make my own bed this week! Poor me! Just kidding, I’ve been spoiled and I thoroughly enjoyed every day I had there and the overall experience I had living in southern Florida. As much as I loved it, it also made me appreciate a lot of things about my life back here in New York. If you just want a good laugh you can scroll to the bottom and read my last “thing I will miss”, but I recommend reading the entire post because I’m just so interesting. 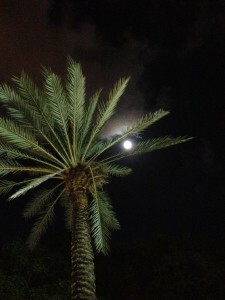 I am going to share my tips on traveling to Miami, Florida. 1. Florida has lots of bugs and crawling critters (spiders, roaches, lizards, snakes). If you can’t tolerate bugs, myself being one of those people, or the sight of lizards scurrying away as you walk down the sidewalk each and every time you venture outside, you will not like it here. I guess I really didn’t mind the lizards, but the bugs are another story. The mosquitos there are the size of baby elephants….. and I can not forget to mention the Palmetto bugs! These are the largest species of cockroaches that are crawling around everywhere on the streets and sidewalks at night. I was going to find a picture of one and post it but I want to spare you the nightmares that it would give you. Google it if you’re feeling risky. 2. The heat and humidity- let me clarify, when I say the “the heat” I’m talking about the temperature, not the guys who play basketball (which people are obsessed with there). If you visit Miami between the months of June and September expect it to be extremely and unbearably hot. The average temperature during the summer is 89º and the humidity is 61%. So, if you are coming for a visit, make sure you pack lots and lots of sunscreen and be prepared to sweat non-stop. Just walking from the hotel to a place down the street to get lunch, I would have to wipe the sweat off my face with a tissue. TMI, I know. 3. You will feel very out of place if you don’t speak Spanish as it is the number one language there. And even if you don’t, everyone will speak to you in Spanish anyways. If you want to really fit in, learn Spanish before you come here. I blame myself for taking 4 years of it and somehow I still can’t even say one complete sentence. Shameful! 4. Food is fantastic pretty much any place you go in Miami but no matter where you go, everything is amazingly overpriced. In most places, you can pay at least $20 a person for something you would pay half the price for up north. 5. The relentless horn honking. People honk at everything there. Mr. Wishes got honked at on numerous occasions at a red light before it would even turn green. I guess the driver assumed he was going to waste (God forbid) a second of their time after the light turned green? You will scream and pull your hair out daily at other drivers when traveling to Miami, Florida if you have to commute anywhere. Miami is a city with some of the worst traffic in North America, so I hear. Some drivers here are amongst the worst in the country that I have experienced thus far….a good number of them are reckless, inconsiderate and downright rude…especially the cab drivers. Not to mention nobody even goes close to the speed limit here. No, it’s not what you think. Everyone drives 10-15 mph UNDER the speed limit. Something I’m not accustomed to at all from living in NY. 6. The endless amount of homeless people. It’s all very sad. Seeing this everyday can take its toll. Being offered marijuana on the streets of Miami at night will also not be missed. 7. 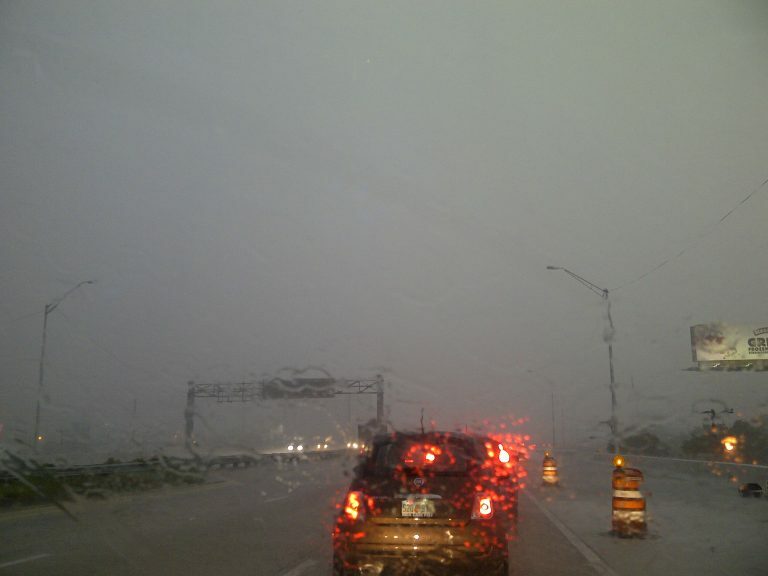 For the “sunshine state”, Florida sure gets periods of constant rain during the summer months. Don’t get me wrong – when the sun is shining it’s gorgeous, but this time of the year it’s usually unbearably hot with constant rain showers and extremely humid and dense air. And just like the ol’ saying – when it rains, it pours…literally. I’m talking giant downpours/monsoons/flash flooding that come out of no where, with no warning whatsoever. 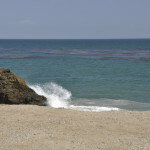 You will be basking in the sunshine one minute and running for cover the next (makes for some funny memories, though). Not to mention the hurricane threats that begin around this time of year. 1. There’s lots of sunshine most of the year and balmy nights to be enjoyed if you’re into that sorta thing. I just love being able to go out anytime during the day OR night and not be cold or need a jacket. I love the warmth on my skin, even when it’s like 180% humidity and all your clothes stick to you. It’s pure bliss 🙂 I love summertime in New York, but sometimes the nights get a little too chilly for me. I know what Mr. Wishes is thinking right now: “You sound like such a little Floridian now!” Yeah, yeah. 2. Being within driving distance of awesome places like Disney World and Key West. Key West is nice to visit, but not to live in. It definitely is one big, giant, drunken circus. You can read more about that in A Day in Key West. Now Disney World, however, I would definitely love to live in 🙂 It’s just nice to have options of exciting places to go for long weekends, or when you have friends visit, etc. 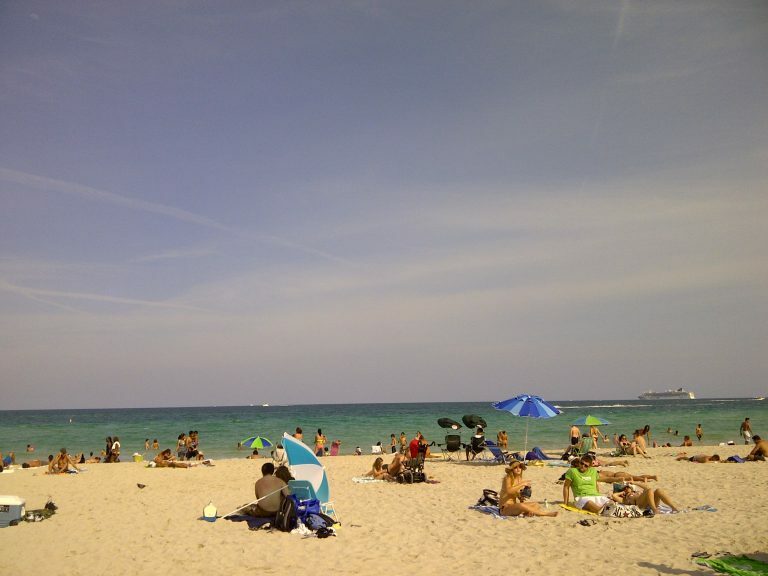 Miami beach is also beautiful for a day trip: white sand and clear, bright blue water. It gets a little crowded at times, but we had nothing but good experiences when we have gone there on weekends. 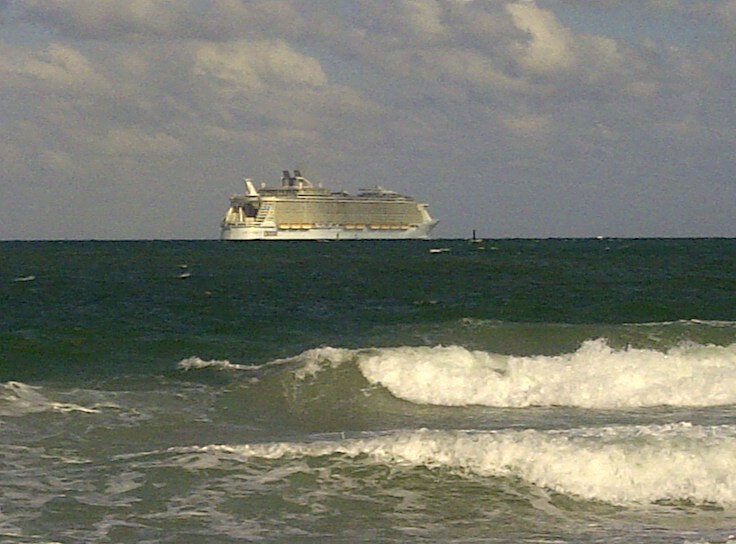 Also, Ft. Lauderdale is only a half hour drive and you can go and see the cruise ship port and watch the ships leave! Am I the only one who finds that totally thrilling? 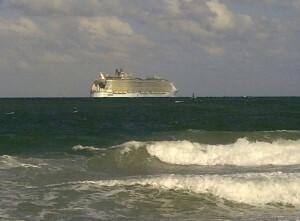 I will really miss laying on Miami Beach and watching the ships cruise on down the coast on the weekends. It’s especially cool at night if you take a walk down the beach and you can see the ships all lit up in the distance. It gets me all giddy inside… #obsessionwithcruiseships. 3. The nightlife was also a lot of fun as Mr. Wishes and I tend to be night owls (holler to anyone who knows us and knows this all too well!). Places don’t close there at 9 p.m like they do here in upstate New York (lame!). It’s just nice to have options of plenty of great restaurants to eat at when you’re hungry at 11 o’clock at night. Here in NY we have nothing but greasy diners and fast food places that are open late and that’s about it folks. There is always something going on in Miami and it’s just a very “happening” place at night… and I love that. 4. The shopping is phenomenal. South Florida offers plenty of unique, tiny boutiques and other shopping venues. My favorite, of course, being the multiple “Guess” stores! 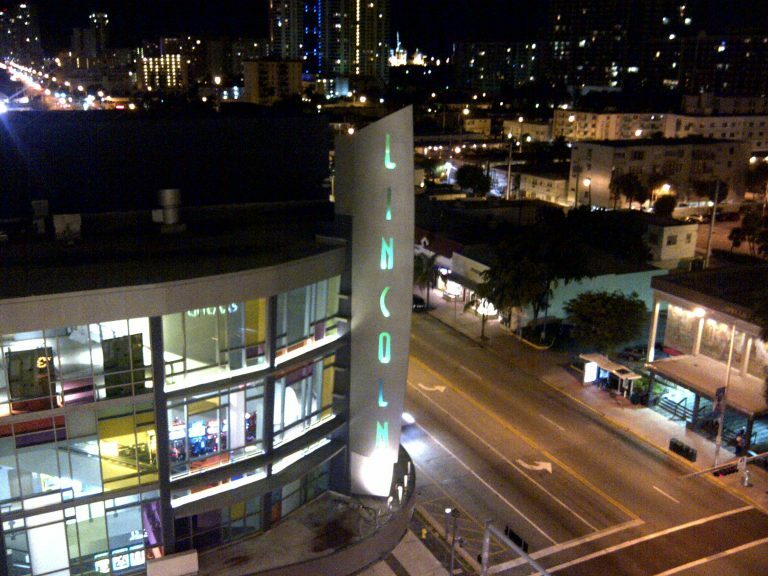 Lincoln Road is Miami Beach’s top commercial area and pedestrian mall with shops, restaurants, nightclubs, bars, and department stores lining both sides of the street from the Atlantic Ocean all the way to Alton Road. It’s awesome! I’d also have to say it is the most interesting people-watching spot in Florida. I loved looking at all the fashionable clothing people wear! 5. If you’re actually still reading these Traveling to Miami, Florida, I saved the best for last. I will miss the random bum who came up to me on Lincoln Road in South Beach one night, busted out a plastic food container from behind his back that was full of an eclectic combination of rotted food he had just pulled out of the trash can, excitedly asked me if I was “in the mood for a late night snack” and tried to sell me this nasty mixture of God-knows-what. I will also miss all of the very strange people I encountered, I don’t want to leave any of them out, but there are too many stories to even share. Special shout out to the man who walked around Lincoln Road all night dressed as some sort of wannabe clown just because he felt like it. Big kudos for not caring what anyone thinks of you and keep on keepin’ on. Also, to the man who walked around in a just a speedo and crocs at 11 o’clock at night while tons of people sat outside all of the restaurants watching in amazement – major props to you – continue being the only person without clothes on in all of South Beach (even though you were carrying your shirt and pants in your hand…?? )… because, why not?! 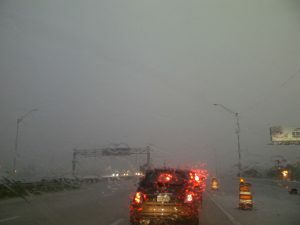 So, readers, did you enjoy my Traveling to Miami, Florida? What makes you happy where you live? Wow, Ashley, that was very descriptive and well written. I’ve never been there, but now I feel like I have! Thanks for sharing both sides of your experience! Hehe, that was funny. I most amused by the yucky cochroaches and bum on the street. Nice blog! What an adventure you’ve had…OY!